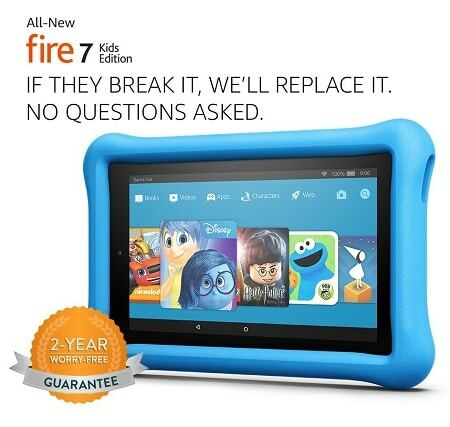 Fire 7 Kids Edition Tablet Only $69.99 Shipped! (reg $99.99) 3 different colors to choose from. NOTE: Several tablets are out of stock right now for a few days, but if you order now it will LOCK IN this great price and automatically ship when it becomes available.